Hi Everyone! I'm writing to you all straight out of the shower. I literally smell like coffee right now! Ok, let me backtrack. 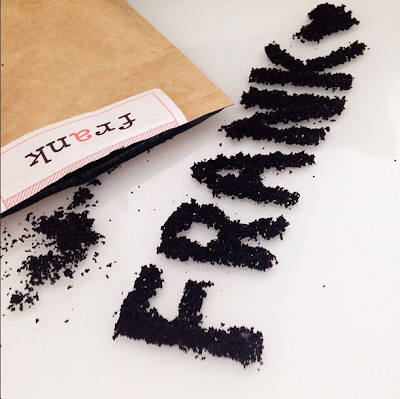 I came across an article about Frank's Coffee Body Scrub online and the writer raved about the scrub and her smooth skin. Of course, I was intrigued right away, because who doesn't love a good body scrub? The coffee part was just the cherry on top. At first I thought that the scrub was coffee scented, but I quickly read that it is made from actual roasted and ground coffee beans so the scent is completely natural. The ingredients in this scrub include coffee, sweet almond oil, brown sugar, salt, water, orange oil, and vitamin e.
This Australian-born scrub is unlike any other exfoliator. It is made from all natural ingredients and targets so many skin conditions at the same time like cellulite, stretch marks, psoriasis, varicose veins, eczema and acne. After just a few uses, I could actually feel my skin become smoother. All of the small lumps and bumps that mysteriously appear on my arms and legs feel smooth now and are disappearing from the brown sugar and sea salt moisturizer. The packing says that the minerals help tone your skin as well, but I'm sure I will start seeing that after a few more uses. On top of my incredibly soft and smooth skin, I can't get over how amazing I smell right now. Not to toot my own horn, but I am in such a great mood from this. It's amazing how a scent can uplift you! The coffee scent is muted on my skin but still wonderful, and there is a top note of orange zest. This scent makes me feel so happy and energized. Lastly, for those who know me personally know I'm a sucker for good packaging, and Frank nailed it. Rather than describing it, I'll let you wander over to the website and see some screen shots I added down below. 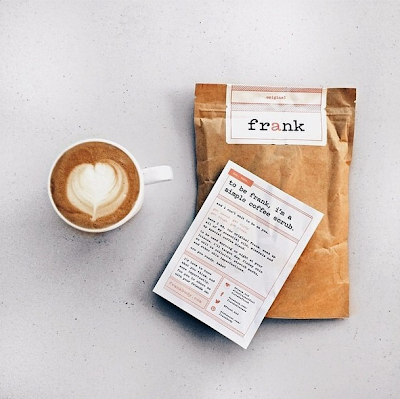 You can buy Frank online in three different options: original, coconut & grapeseed and cacao. For more information about the scrub visit the FAQ section or the Blog. So go ahead, take Frank home and get dirty! It'll be the best shower you've ever had. 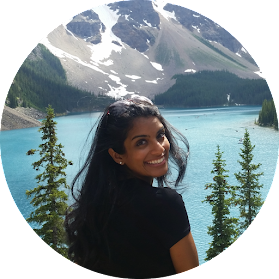 I'm Melissa, underwriter by day and blogger by night. When I'm not in the office I can be found in a quaint coffee shop browsing pinterest and planning my next vacation.